Imagine you’re engrossed in an action-packed thriller. … the villain undergoes a sudden change of heart, and the hero decides to retire and enjoy a quiet life in Florida. Chances are, you’d throw the book across the room in disgust. The author promised you a thriller, but what you got is an unsatisfying fairy tale. Fiction genres follow specific formulas. Good blogging and content marketing are no different. Now, here’s hoping that you don’t throw a gratuitously brutal murder into your next blog post. But nonetheless, you might be confusing readers — and making your own life harder — by avoiding formulas when you should be embracing them. Maybe you’ve sworn that this kind of thing will have no place on your blog. But realize: these formulas are popular because they work. Sure, you’ll find plenty of examples of badly-done list posts — but don’t let that excuse stop you from writing a great one. Head to any popular blog in your niche, and you’ll see that the same types of posts crop up again and again. That’s not lazy writing: it’s thoughtful construction. There’s nothing worse than staring at a blank document, struggling to begin a post. Wait, scratch that. Blank documents are painful. What’s even worse is spending hours on a post, only to realize that the whole thing is so rambling and unstructured, it needs to be scrapped. Formulas helps you get started — and they help you finish. Your readers are busy people. If they come to a post that seems disjointed and confusing, they’re going to head elsewhere. A clear formula holds your reader’s attention. “10 Ways to be More Creative” lets readers know what to expect, and promises a clear, well-organized post. “My Random Views on Creativity” doesn’t. Make life easy for your readers. Deliver information in a straightforward way, and make sure the benefits are clear. Some writers dislike formulas because they seem boring. The formula gives you a framework. Main body: Go through “Step #1 …” “Step #2 …” etc, giving clear instructions for each. You may want to include a screenshot or image for each step. Conclusion: Tell the reader what they should have accomplished by reading. You might invite them to ask for help in the comments, or point them towards further resources (like an ebook or ecourse). Introduction: Draw the reader in, and make the scope of the list clear. Main body: Number each item, and ensure that each offers real value to the reader. Don’t pad out the list -– if you’ve only got 5 or 6 items, that’s fine. Conclusion: Ask the reader to add to the list (or to mention their favorite tip) in the comments. Introduction: Explain the product briefly, making clear what it is/does. Main body: Consider splitting this into separate sections. It’s up to you what you use, but “Contents” “What I Liked” and “What I Didn’t Like” could be a good basic structure. Conclusion: Sum up –- should the reader buy this item? Who’s it best for? Make sure you include a link. These are very simple, basic formulas — but they work. Add your own flair, a great metaphor, a strong writing voice, and a healthy dose of useful information, and you’ll find that these aren’t just readable posts — they’re high-quality posts. Before you throw formulaic blogging out with the bathwater, remember that formulas are tried and tested, make writing easier for you, and reading easier for your audience. Give these formulas a try, and pop a comment into the form below to let me know how it works out. About the Author: Ali Luke is a writer and writing coach. Her ebook The Blogger’s Guide to Effective Writing helps with every stage of the blogging process from idea-generation to editing and polishing. It also includes templates to help you build solid posts, step by step. Click here to find out all about it. I also use a checklist for writing blogposts. It’s sort of my personal formula for how I go about planning, writing, editing and publishing my articles. Helps me a lot and I don’t have to worry whether i forgot anything after I hit publish 😉 Highly recommended! Great one, Conni — I find checklists useful too. There are so many little things to remember! Good stuff. I just sorted our last 100 blog posts by number of Twitter shares, and most of the popular ones followed one of these formulas. Awesome! Just goes to show how strong the formulas are. Interesting article and one to save for future reference, especially for new copywriters or bloggers. I’d add to the list by suggesting part works as a formula that works. Whenever we write a blog series (Anatomy Of A Website, Email Copywriting) we see a marked increase in traffic and reader response. I always try and finish each part with a teaser for the next episode but also make sure I summarise where we are in the series at the beginning of each post for the benefit of new readers. Great one, Derryck — I agree that series work well (I’m not sure I’d consider “a series” to be a formula itself, but I’d definitely suggest having each post in the series follow the same structure). I feel that How To posts, list posts and review posts are over used by many bloggers. Often I’ve come across many blog posts where the headline sets a huge expectation … only to be disappointed after I read it. That doesn’t mean I discourage using it. What matters is that you add substance to the content. So by all means use these formula. However keep in mind that you need to deliver on the promise of the post. Yes, I’ve sadly found the same thing. Some posts promise the world … and totally fail to deliver. 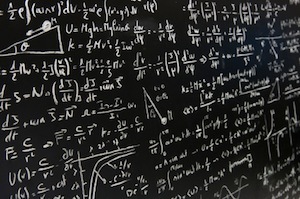 A formula isn’t going to do magic on its own: you need a good writer for that…! Good article and so true. I often see writing that is grammatically perfect, well-structured, and has good insights. And yet the writing is difficult to read and leaves me cold. Why? No formula to make it hang together in my mind. Looking forward to reading your blogging guide and finding out how you pop up on so many big blogs. PS, how come you didn’t number your three easy formulas? Just busting your chops. I think formulas can really help less confident writers, too. If you’re not all that great at structure, a formula can pull your post into line — and like you say, that often means it’ll stand out above writing that’s technically perfect but that isn’t easy to engage with. Well said Ali. I’m learning to rely more on structure and less on free-flowing creativity. Part of me resists, because writing tends to be my creative escape from my overly-structured day. Having more structure makes it easier to write and any output far more reader-friendly. Let’s add the “Q&A” post – question and answer. Easy one, that! Yep, that’s a great one! Formulas are only as boring as you let them be. I agree that a formulaic approach to blog writing can help guide you and keep you focused, but that doesn’t mean you’re locked in! It might be easier to think of them like an outline. You know the basic flow but you get to fill in the details however you want. Exactly! I find that formulas can really free me up creatively: if I know “This is going to be a how-to post”, it’s much easier to write. Good advice! List posts are great, if they’re well written, as are how-to posts and the other formula posts you speak of. The key is to write whatever you write clearly and well. Thanks for the insight. I find it useful and effective to try and emulate other bloggers and how they achieved compelling posts. Although we cannot copy their style exactly, I believe that’s the beauty of it. We can adopt a certain style and add our own twist to it — making it unique and effective. These examples you provided are great, Ali. Simple, practical, actionable – that’s what readers want. And I agree – a formula helps you to consolidate information in a way that is meaningful and useful. There is no reason that you can’t temper the formula with a healthy dose of creativity. Thanks Ruth! And yep, creativity absolutely comes into play too. Often, forcing yourself to work with a formula can actually make you MORE creative! I recently wrote a Top 10 post on my website and shared it on LinkedIn. It is already one of the most read article ever on my site with over 200 reads in just 2 days. I also feel formula based posts are very good for making SEO content, because you can pick just about any keyword and quickly write a formula based post for it. List posts always do well, though there’s the danger of dashing them off too fast … I think they’re most effective when they’re written to stand the test of time. Great post, Ali! I’m working on a novel, and I’ve definitely found that using a formula/structure keeps me from getting those weird little square indentations on my forehead from hitting my head against the keyboard. Haha! Oh, I’ve been there, Laurie … just finished the proof-reading of my novel (after 7 drafts!) and I’m pretty sure a formula would’ve saved a lot of headache! Hey, best of luck with the publishing stage! Thank you for this reminder! It goes a long way towards helping me to get started! It’s funny, after reading hundreds and hundreds of blog posts written in these ways, I find I’m *still* just as compelled to click on the next “Top 6 Tips” post as I ever was. A couple of commenters have aluded to these being overdone, and certainly there is no shortage of disappointment, but I think it’s the content that gets overdone, not the formulas. I’m sure I’ve read a dozen variations of ‘top X ways to create better content’ on Copyblogger, but they were ALL tops! .. Because they were timely, and creatively suggested. I agree, Jeff; it’s substandard content that causes the problem. And yep, I’ve never read a “top X” post on Copyblogger that wasn’t up to scratch! Thanks Mike! A lot of these formulas come very naturally: we’re used to them from other blogs, and from magazines. I agree that long lists can be a lot of fun — and a chance to stretch the creative muscles. I often find it’s useful to come up with more items than I need, then I can pare back any sub-standard ones. Oh, this one just came in from the makers of my accounting software: “3 Tips for Choosing a Merchant Service Provider”. Uh, yeah, it might as well say “Us” – “Three tips for choosing Us”. Great example of how veiling a sales pitch in your (presumably objective?) ‘Tips’ can turn people off .. and ruin a perfectly good formula! Thank you for another informative post. I have a question, however. How much information do you give away for free in your blog and what do you make “pay for” information? Where is that fine line? Every blogger will draw the line a little differently. I give away my “thoughts in progress” — posts that are exploring an idea or opening up a debate. I also try to provide solid value with posts on key topics that I know my readers are concerned with (I blog about writing, so this includes things like breaking down the writing process). My paid content — mostly in ebook form — is invariably much more in-depth: it might cover the same topics, but it goes into a lot more detail. It also sticks to things that I know a lot about, rather than exploring new areas; I figure that people want to pay for information, not pay to watch me fathom things out! Thanks Mitt! Yep, keeping your audience in mind is vital. It is interesting to note that the most people who say that list posts are overused are themselves bloggers, however the average reader is drawn to them because like you say they are busy people who want an easy read. Why try to reinvent the wheel while the numbers speak for themselves? Looks like am going to have alot of upgrading and reinventing to do on my next blog,alot of useful informations here to make repackaging alot easier.Good!!!! Those are great ideas to spice lists up a little. I’m definitely going to use them! I also noticed that you used the practical exercise idea in your blog post “Is Time Management Really Such a Good Idea?” on DumbLittleMan. It’s just a small thing, but it really sets the post apart from the crowd. Yeah, I try to take my own advice once in a while 😉 I’ll let you into another secret — it’s not just useful for readers, it also helps me come up with the content when I’m writing! Wonderful article Ali – if I had read this 2-3 months back, it would have opened my eyes big time. But I learnt the hard way that straying away from proven formulas isn’t in your best interests. When I first started out with blog writing, I didn’t want to conform to any formula. I thought to myself, “If I write great content, it will come good”. That was a totally naive way of thinking. It’s no insult to internet users to say that they are impatient when it comes to information. We get a huge number of links thrown at us on a daily basis – it is no surprise that we only click on the ones that catch our eye. For someone to read your article, they have to be sold on the headline. It’s that simple – you can’t get away from it. Just one thing regarding your “review formula” – wouldn’t you want to make the headline a little less dry? For instance, rather than “Social Media Tool Review”, you might write “Finally Organize Your Social Media Mess: Social Media Tool Review”. Okay, that headline isn’t great (I did just make it up on the spot! ), but do you get where I’m coming from? Just a little extra flair to draw the reader in and let them know what they can expect. I think you’re absolutely right when you say that a formula helps you write. I find they help me organize my thoughts, they show me where I need to do more research, and they help make the information accessible. As a reader they let me see at a glance if a post contains the information I’m really interested in. I think it’s also important to understand that just because it’s a formula doesn’t mean it needs to be boring. Thanks, MaLinda! I’m all in favour of a bit of creative roaming … but as you say, blog posts aren’t really the place for it! Great points, thanks for the reminder. So true that there’s no need to reinvent the wheel. And the headline should be reviewed when you’re done writing. How often do writers come to a different conclusion through the process? Yep, just a couple of minutes reviewing and tweaking the headline can make a huge difference. One other possible formula is the analysis post. Where you stick to one concept of facet of something. Pretty much a mini-essay. Its a great way to really explain/explore a central theme you blog about. Great one, Matthew — thanks! I love your take on this. I think I’m guilty of trying several different things at once. I notice I keep gravitating towards the ‘how to’ and ‘list’ posts. I may try an experiment and see what my readers think about sticking towards one main ‘style’. Experimenting is always worthwhile: it often surprises me what goes down well with my audience! Thanks Ali, some really good advice – and although not in your example formula as such I think the most helpful part is way you illustrated the concept with some examples that can be implemented immediately. Have saved for future reference as I know I will be checking again – definitely written to stand test of time! Thanks Nicole! 🙂 Hope you get some awesome posts written!